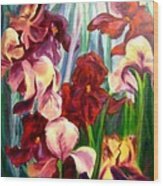 Morning Iris by Jeff Troeltzsch - 5.750" x 8.000"
Morning Iris art print by Jeff Troeltzsch. Our prints are produced on acid-free papers using archival inks to guarantee that they last a lifetime without fading or loss of color. All art prints include a 1" white border around the image to allow for future framing and matting, if desired. I love the deep vibrance of your colors ! 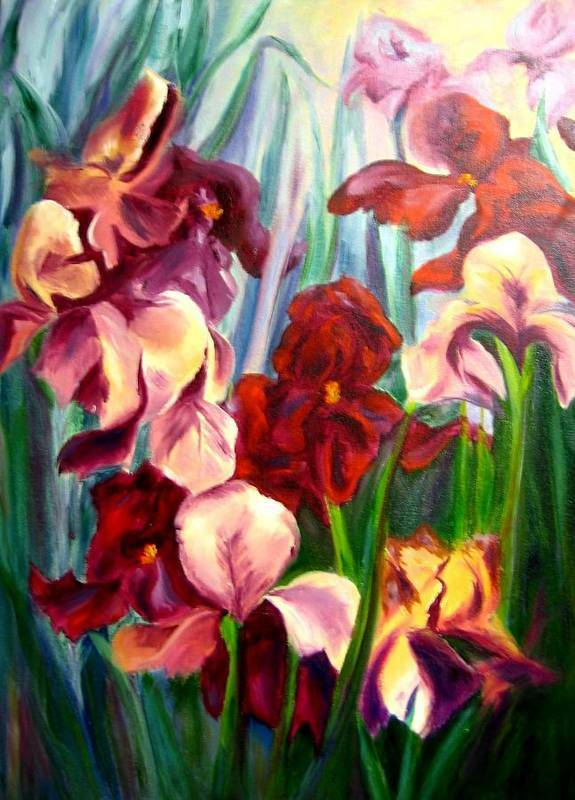 Rich warm colors of the morning Iris. JEFFREY LLOYD TROELTZSCH Born 1957, Denver, Colorado Tonalist view of painting where shaddows and surroundings define subject objects. Color is important, but secondary. Use temperature of color and transparent / opaque qualities and varried compostion to create depth and focal point. Select subject matter where, abstract is rooted in the sureal. Enjoy exploring different styles especially the classics. Mission: To create paintings that the viewer can enjoy and maintain interest and visual discovery for a long time.